Help Baze use his battle-tested skills to take on the Empire! Build the figure and put him in a battle pose, then load his heavy cannon with spring-loaded shooter and get ready to fire. This battle-hardened warrior is in the mood for action! 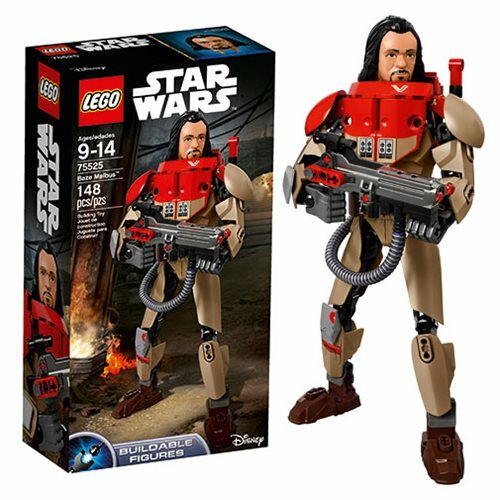 The LEGO Star Wars 75525 Constraction Baze Malbus includes 148 pieces. Ages 9-14.